Popular GM locos entered traffic 40 years ago. THE 18-strong General Motors-built 071 Class entered revenue earning traffic 40 years ago in 1977. On May 23 that year, No. 082 was the first to begin to recoup Coras Iompair Eireann’s investment, while No. 088 was the final one on July 6. Last year’s events to celebrate the delivery of the fleet to Ireland in 1976 were notable and included a two-day railtour, a commemorative plaque, and the alteration of class leader No. 071 into retro livery. This year’s railtour programme for the enthusiast market follows on from 2016’s successes and continues to cater for followers of the popular class, which remains numerically intact. No. 082, the only member of the class to be named, is the most recent 071 Class locomotive to be outshopped (in grey livery) at Inchicore Works. 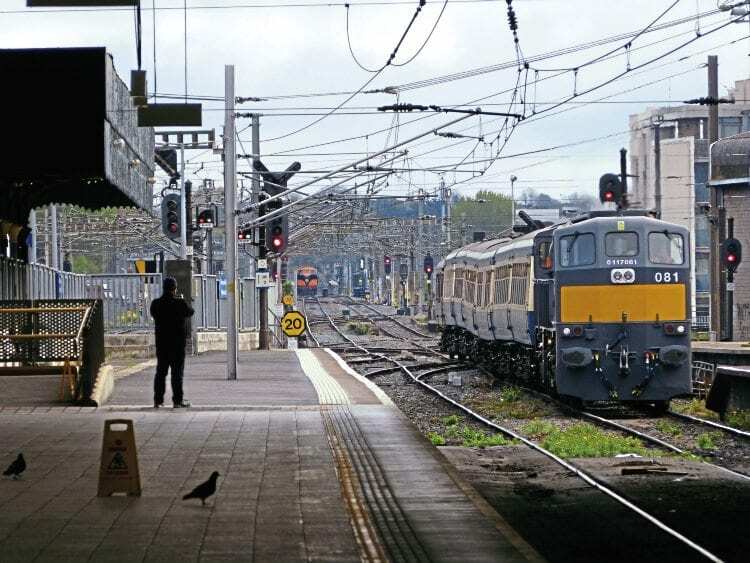 Ireland’s two premier enthusiast-based railtour organisations, the Railway Preservation Society of Ireland (RPSI) and the Irish Railway Record Society (IRRS) have each planned railtours featuring 071 Class traction. The first of five that have been scheduled was the RPSI’s ‘Marble Tribesman’ on April 8, when No. 081 headed a train composed of ‘BR’ van No. 3173 and six Craven coaches from Dublin Connolly to Galway. No. 088 on the railtour duty was notable as it had not worked a passenger train for around eight years. Profits from the ‘Marble Tribesman’ and other RPSI diesel-hauled railtours continue to help finance the restoration of the society’s fleet of ‘Small’ GMs to full working order, which will enable them to run on the main line again.